This is the first of two blog posts discussing how education has evolved over the years and how the responsibility of the teacher has grown. 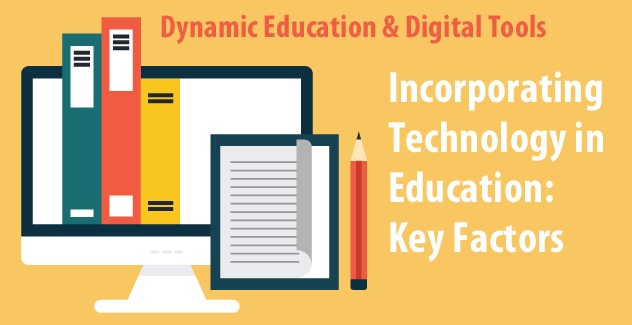 Technology is a big part of both of these and this first post examines how technology is being incorporated into online education and key factors to consider when creating online content so that it is beneficial to both the student and teacher. Let’s face it! Education has been a static process since the dawn of civilization, with an infrastructure that deals with buildings, textbooks, pedagogies and curriculum. The customers are students, and suppliers are institutions. Whether it's pre-secondary or post-secondary higher education, teachers stand at the pivotal point of delivery. Teachers shoulder the responsibility to teach students about the world, science, humanities and stems of various disciplines. Just recently we have begun incorporating technology to improve the academic process and learning outcome. The conglomerate name for this catalyst is called educational technology, in short EdTech. Today, we find computers, tablets, mobile devices and whiteboards enhancing the visibility and mobility of the concepts. That is what I call a “Living and Breathing Organism (LBO)”. By no means, am I criticizing the past. We just didn’t have penicillin before it was invented. Similarly, we now have many instruments, technologies, visuals and resources to augment the process of teaching and learning. The size of the EdTech industry, in my estimate, will reach some $275 billion worldwide by 2020. Interestingly, the nature of the industry automatically qualifies every EdTech innovation to spread globally, as in the cases of Uber and Facebook. The purpose of my deliberation is not to elaborate or forecast the market size of augmented educational technology. My focus is much narrower, to the extent where a simulation or digital experience allows the student to understand a concept and experience it, close to its application and reality. These small junctures of man-machine segments are commonly known as interactions. An interaction can be a video, a movie segment, a game, a digital activity, a crossword puzzle or an assessment. As we progress through this journey, the other element that is emerging in this list is Artificial Intelligence, in association with Virtual Reality. That discussion, however, is beyond the scope of what I intend to discuss here. There are many theories and user interface (UI) designs recommended by EdTech Gurus, which can create an effective interaction for education. Irrespective of pre-through-post-secondary education, there are certainly matured methods and techniques for creating a learning interaction. I, however, will take the liberty to name a few (purely from my college teaching experience) which have been proven beneficial to me and my students. 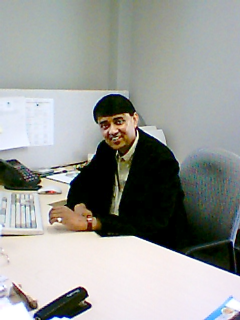 While I have been teaching for twenty-five plus years, my interaction design experience as a technology and Computer Science professor extends some six to seven years. I am sure there were many noteworthy apparatuses and infrastructure of EdTech available before that time. In education, interactions are the visual exercises or lessons created to explain how a phenomenon works and assesses the comprehension. The first notion that comes to mind is “Content". Irrespective of any technology one decides to use as an eye caching design and dynamism, Content remains King. A MONTBLANC pen or a word processor can augment the process of a smooth writing experience but can’t improve your compelling argument or logical framework, let alone, grammar. At the same token, without good content, an interaction misses its context. I often talk about or play a clip from the movie “The Bridge on the River Kwai”, while talking about the notion of Mission Critical. The content is great, and Sir Alec Guinness is superb! Interestingly, students who probably never heard of the 1957 classic, understand the context that the job must be done. A Chess Game interaction might not have attained this same objective. Therefore, while designing an interaction in humanities or science, do use appropriate content. That is also why a good textbook associated with well thought-out digital learning interaction is an effective “dynamic duo." The interaction must be “engaging”. The term has been frequently applied and, in some cases, misused, to describe a student’s reaction to an assigned task. Not all tasks are engaging. So, what does it really mean? In simple terms, it is an activity, digital or physical, that induces an intent or interest in the student, to take active part in solving a problem. One might add that it is not boring. I think; any activity can be boring if the student has no idea of what he is expected to know, or even has too much knowledge. The key word here is “Interested”—to engage his or her mind in solving the challenge. A good example is solving a crossword puzzle, relevant with words and clues about a concept, a student has been exposed to. Notice, how I am trying to justify the notion of Content, which is clearly composed to initiate the engagement. There must be an excitement in the student’s mind after completion of the task. In addition, there is a higher probability of initiating “Critical Thinking” with an engaging activity, compared to a non-engaging task. Finally, all teachers are not technical or computer experts. In most cases, we don’t expect that of them. Thus, the tool for creating interactions must be easy to follow and implement. There are many interaction design vehicles, but not all of them are easy to learn, understand and use. When selecting a tool, that is a very important criterion. If the teacher gets frustrated by the complexity of the tool, the goal to create an interaction will be lost. I can confidently say, attractive visuals, user interface or even context-sensitive video trainings are not as effective as how simple it is to insert the framework of an activity in your lesson, and then customize it to your desire. Thus, it must be easy. I can continue with many other important factors, either evidenced-based or simply derived from my own experience. I shall reserve those for a scholarly paper. In summary, the above seem to have crafted a long-lasting impression with me, and hopefully will give the reader some clues to elect a tool that works! There are many digital interaction and lesson building software in the market. They tend to serve various skill levels. Although I am not proposing SoftChalk to be the best tool for all occasions, I think it has the elements that can be easily applied to create a good lesson with engaging activities. The design and planning, however, originates from your content, creativity and deep knowledge of the subject matter. The combination of intellect and a good tool, makes an educational experience, an LBO. Everything to this point are good theories. I attempted to clarify the digital aspect of critical thinking with an example and an assessment. One needs to keep in mind, however, that every lesson has its own requirements based on the content and the audience. Thus, I urge the reader to take my example as an example only, and not an ideal solution to all content. In the next post, you will see examples of the factors discussed above as well as how digital tools play a role in motivating students to think.